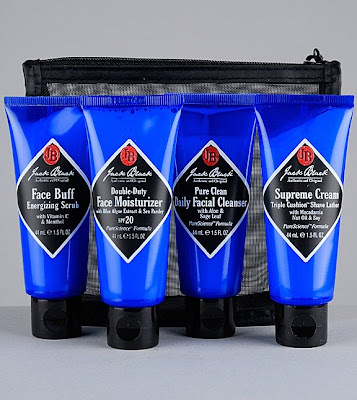 Perfect for the travelin’ man, Jack Black has the answer for travel-proof skin care. This four piece set houses the brands most popular skin care products in a signature mesh bag. The carry-on friendly sized set meets dad’s face, body and shave needs, all in airline-approved 1.5oz sizes. Contains; Pure Clean Daily Facial Cleanser, Face Buff Energizing Scrub, Supreme Cream Triple Cushion Shave Lather and the Double-Duty Face Moisturizer SPF 20.